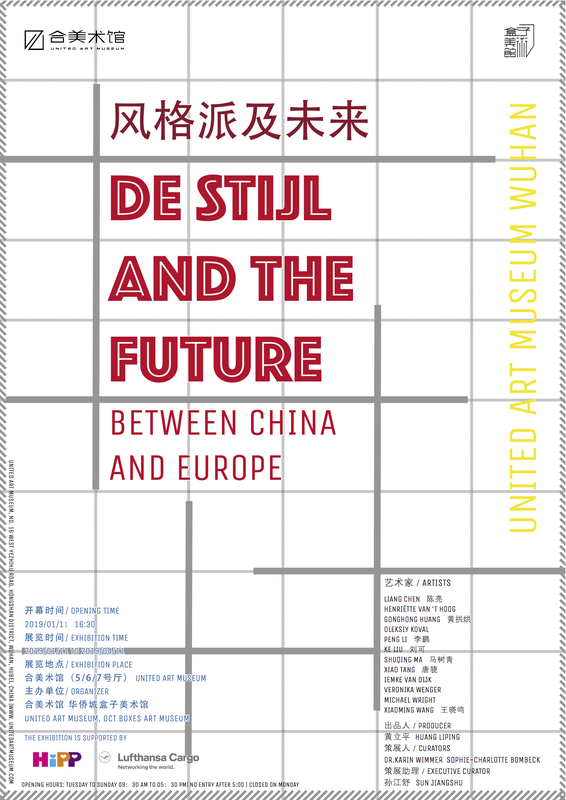 The exhibition De Stijl and the Future presents Artworks of several Artists from China, Germany, the Netherlands and Great Britain. The Idea of the Exhibition is to turn around our aesthetic gaze in order to show that the movement of De Stijl has reached artists from all over the world even a hundred years after their act. The Exhibition explores the relationships between the movement and the work of the participating artists who are influenced by the ideas of De Stijl, a Dutch art movement that has had a profound impact on both design and modern art. Inhale the revolutionary atmosphere of the avant-garde and a new Expression of Life, Art and Technology.As seen in the Exhibition Elements of the artistic movement have found their way into modern art as seen in the work of our presented Artists. The Exhibition encourages the cross-disciplinary exchange and engagement between China an Europe. The Show will take place at the United Art Museum Wuhan and Boxes Art Museum, Shunde.